TLCD Architecture’s Lake Center, completed earlier this year, has been awarded Top Project honors for 2013 by the North Bay Business Journal. We were fortunate enough to present the award to Michael Adams and Carolyn Pryor, Facilities Director and Assistant Director, in front of a packed room of co-honorees at last night’s awards ceremony. 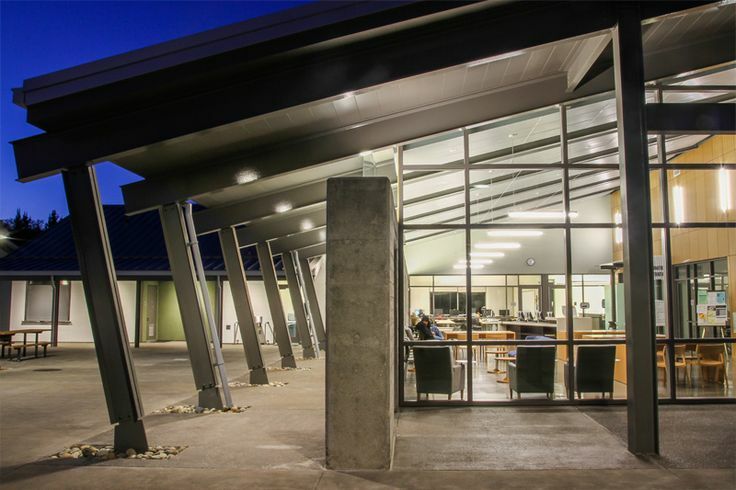 The Lake Center opened last year to students and public and has become a vital outpost for Mendocino College and community hub for the citizens of Lakeport. We are very gratified to see the contribution the campus is making to students in the region. Congratulations go to the College for their commitment to building outstanding projects. The new Center was one of a remarkable 6 new projects built by Wright Contracting recognized by the Business Journal this year. This is a tremendous accomplishment and shows their versatility as a General Contractor. Our partnership with Wright and the College was essential to the success of the project. The Redwood Empire Food Bank, was recognized for its new facility, also built by Wright. TLCD’s own Alan Butler, Principal, served the Food Bank as Board President during the acquisition, planning and construction of the building. David Goodman, Executive Director, received the award on behalf of the Food Bank. We are inspired by the Food Bank’s daily contribution to our community. Cuvaison’s winery expansion in the Carneros region demonstrates excellent design quality. Built by Ledcor Construction, the facility fits into the natural setting seamlessly. The winery is a neighbor to TLCD’s Carneros Inn project, located just down the road toward Napa. The Person Senior Wing expansion of the Finley Community Center in Santa Rosa gives seniors in our community a destination that meshes with the already active center, completing the Center’s goal of inter-generational programming. The design of the expansion by Larry Simons honors the facility’s Architecture and fulfills the original vision of Roland Miller Architects. The project was built by AE Nelson. The new Barlow center in Sebastopol was also recognized by the Business Journal. This is a unique, game-changing project built by Steve Kilgannon of FDC. The Center brings a range of light industrial, retail and commercial uses to an important redevelopment area of the town, including the Kosta Browne winery and the Zazu restaurant. It will be interesting to watch how this project positively transforms a formerly under-utilized district of Sebastopol’s downtown in the years to come. In all, the evening’s events showed renewed vigor in the design and construction industries and a palpable anticipation for future growth in our region. Congratulations to the Team on putting together a unique Structure. Look forward to seeing the ATT conversion during the Construction Phase.